Award-winning musician and composer Chris Wood, who’s ‘songs convey anger and frustration while his music communicates tenderness and warmth,’ will include an individual interpretation of new material from “None The Wiser’ in his set. Georgia born Brooks Williams writes groove-laden songs, delivers with an easy-going vocal style and monstrous guitar chops, all the while walking the line between blues and Americana. Brooks will be supported by the raw, low-fi atmospherics of Paul Littlewood’s wide open spaces. Martin Carthy has been one of folk music’s greatest innovators ,a ground-breaking acoustic and electric-guitarist and one of its best loved, most enthusiastic and, at times, most quietly controversial of figures for over 40 years. Neil has developed and matured as a writer and musician while staying true to his American roots, and will be performing inter-locking and shifting sets with the rhythm at the heart of the music, honest and touching lyrics and the swing and ease of Vera Van Heeringen. The wild-eyed vaudevillian’s banjo-driven songs describe a dreamlike vision of American history where all points in time have collapsed into one. The band has spent a year sharpening their skills in the burlesque houses, beer halls and underground theatres of the Carolina Piedmont, and will be supported by the ethereal sound-layers of a dream by Sieben. 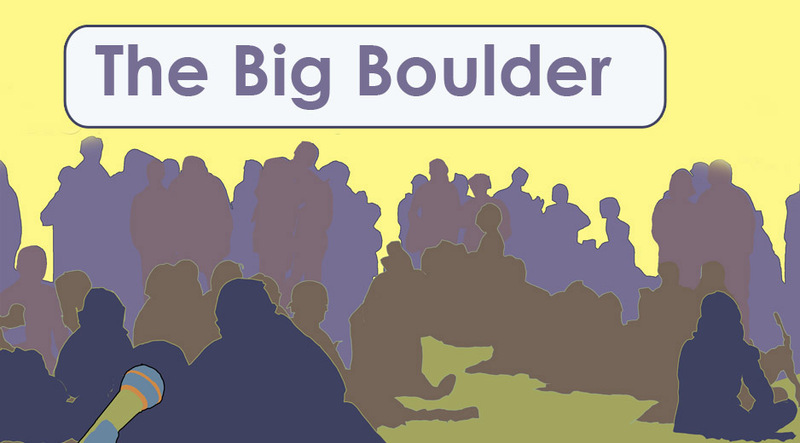 Don’t forget you can keep up with the action over at www.facebook.com/TheBigBoulder or even on Twitter now @TheBigBoulder!